The Middle Ages encompass one of the most violent periods in English History are are epitomised by the castles of the Middle Ages. Defending a concentric castle during the Middle Ages was made easier by the skills and designs of the concentric castles by people like King Edward I and his master builder and architect, Master James of St. George. 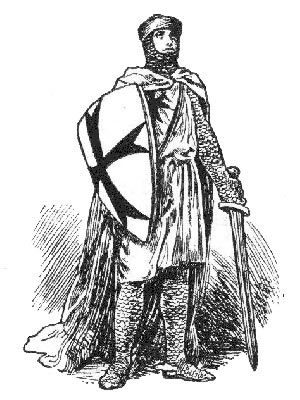 The Crusades were popular during the Middle Ages. Thousands of people travelled to Holy Land and joined in the Medieval crusades of the Middle Ages. They were exposed to the great fortresses of the Holy Land, different architecture and advanced siege warfare tactics and siege engines. This new found knowledge and ideas helped to improve the designs of concentric castles making the task of defending a castle in the Middle Ages easier. Successfully defending a castle during the Middle Ages depended on whether the castle and its inhabitants could withstand a siege. Understanding Siege warfare was critical during the Middle Ages. The concentric castles of the Middle Ages were designed with this in mind and included defence features such as the Moat, Portcullis, Barbican, Gatehouse, Crenellations and Drawbridge. The defenders would use all the traps which were built into the castle designs to their best advantage when defending a castle in the Middle Ages. The siege engines which mounted heavy attacks on a castle would be attacked using fire and grappling irons. Defenders would maintain a constant assault on the enemy by firing arrows, stones and crossbow bolts. Defenders launched arrows from the sheltered windows called loopholes. Each section of this Middle Ages website addresses all topics and provides interesting facts and information about these great fortresses and castles of Medieval times including this section on Defending a Castle in the Middle Ages. The Sitemap provides full details of all of the information and facts provided about the fascinating subject of the Middle Ages!